I never knew there were so many things that needed to be done or considered in the pregnancy journey, so I thought I'd compile them, and maybe it'll be helpful in some way! With such a type-A personality, I am definitely a planner and a scheduler, but pregnancy is a giant lesson in surrendering and in letting go - and I think motherhood is, too! Disclaimer: I'm really not an expert of any form, these are just some things I found useful! Some things I've learned in my adventure that are applicable only if you live in Metro Vancouver, Canada, so keep that in mind. Where are you at physically? It's important to be in a good state of health - so whether it's practicing a good exercise regime, eating healthily, sleeping regularly, visiting the doctor to ensure you have all the vaccinations and do not have any glaring medical issues that need to be addressed... as you'll be growing another human being inside of you, and instinctively you would want to give the little one the best start as possible. You'll be needing to take prenatal vitamins at least 3 months before you get pregnant so that you can get your folic acid, which is important in the first little bit of your baby's development. Every pregnancy is different and it affects women differently as well. You can never tell if you'll have an easy one or a tough one before it happens, so consider that you may not be able to work as effectively during this time. Pregnancy does mean a ton of physical and hormonal changes - so in some form, it may affect you a little for work, or a ton! It really depends. 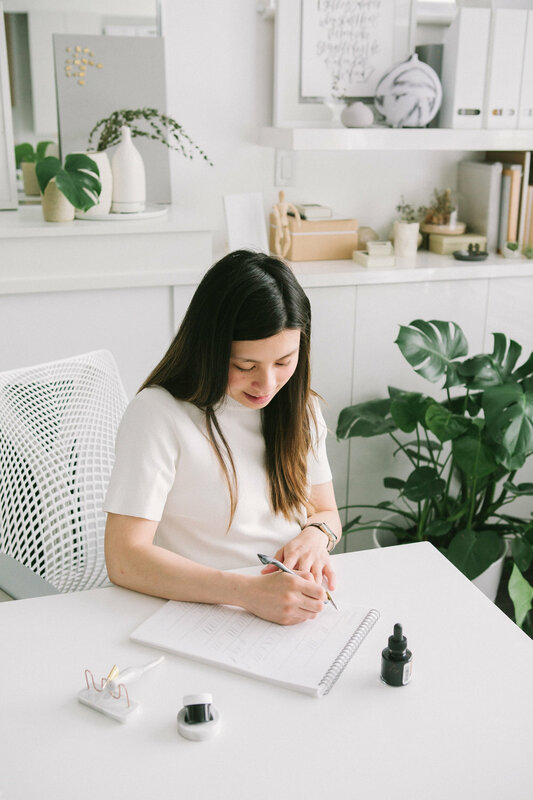 If you're self-employed like myself, that may require some adjustments and financial planning, as that may mean inconsistent income during this time, and of course the lack of maternity leave - would you be able to afford that? If you are employed, it may be good to understand what kind of support you can get with regard to sick days, maternity leaves, etc. Call me crazy, but I do think that having children in this generation (and in this city) is a luxury. I think it's important to consider all financial aspects of it before diving into having children. While our healthcare and birthing costs (like hospitals, doctors, etc.) are free, diapers, clothing, food and all that stuff isn't, and childcare can be as much as your mortgage or even more! It really doesn't hurt to do a little research to see how much it does cost to have child/children and to be financially prepared for that. While I don't think anyone can be absolutely be ready to have a child, it's still healthy to mentally prepare yourself to this selfless act of love called parenthood. No one's ever said that their life is easier with children, but perhaps it's now more fulfilling. It's definitely not for everyone, so I think it's so important to consider that having children will require changes and tons of sacrifices in your life, and that life would never be the same again. On the psychological part - I think it's so essential to get to a state where you are content with yourself, just as you are, with or without children. Trying can be difficult - some people can take years and years before they are able to conceive, and that can take a toll on your psychological well-being (and also your marriage). If you draw your purpose solely on having children, or from your children, that isn't healthy either. So, spend some time to reflect and consider your reason for wanting to start a family, and make necessary adjustments to help boost your mental well-being. In relation to the psychological state, from my personal experience, as a Christian I draw my strength and my hope from God, and having that grounding is so important. Knowing that no matter the ups and downs of pregnancy, childbirth and parenthood, that God is walking alongside me and I need not fear. This is probably one of the most important things to consider - the state of your marriage and your relationship with your spouse/partner. Parenthood adds another level of stress that cannot be avoided, and if your foundation and your core isn't strong - it's going to be tough as you go through those many sleepless nights, fatigue, and all sorts of rollercoasters pregnancy and raising a family takes. It's so important to consider if the both of you are even wanting children - and if not, then you'll have to be willing to accept that you may very well be raising this child on your own. If you weren't on the same page on having children to begin with, don't expect that to change once the child comes. Additionally, pregnancy is such a vulnerable and fragile time for you, that if your partner cannot be there for you physically, mentally, psychologically, spiritually - how much more do you expect him to be, afterwards. Then, when the child comes, there's also the care and parenting involved - so having at least similar core values, would really help reduce the stress on your marriage. They say that raising a child requires a village, so another thing to consider are the extended family like parents and in-laws, as they may play a part in caring for your child. Even the nicest, most well-meaning relatives can add stress to parenthood, so it's so important to ensure that you can rely on your partner to protect you and believe in you two to do what's best for your family, and vice versa. There's some science behind trying and getting pregnant, so it really doesn't hurt to educate or re-educate yourself about the process. There's tons of mobile apps out there that help track your ovulation / period cycles, and there's ways to help identify your most fertile days, so that you aren't necessarily just trying for the sake of trying. Additionally, it might be good to know what kinds of foods/activities you will need to avoid during pregnancy (or even before), so getting yourself informed helps. I found it important to take everything with a grain of salt, because there's so much information out there, and well-meaning friends will also have advice for you, so you'll have to decide on your own what works best for you. Once you get pregnant, you will need a medical team to support you, whether it's a midwife, family doctor, or an OB/maternity clinic at the hospital. In BC, midwifery care is covered by the government, so if this is something you feel strongly about having instead of an OB, it helps to research who you would like to care for as I discovered that you need to call them the moment you get a positive pregnancy test, as they get booked up really quickly. I called two days after my positive pregnancy test, and some places were already booked, especially in the busy summer months. The first thing you'll need to do is to contact the midwife/family doctor. From my experience, I wasn't asked to do a blood test any longer but the midwife/family doctor can prescribe the first ultrasound, which is the dating scan, usually taken around the 8-9 week mark. The family doctor will refer you to an OB but usually that happens much later, the family doctor usually can take on the first part of maternal care, unless you are high risk and will require a lot more care. I chose to go with midwifery care because I wanted a little bit more support especially with the first pregnancy, and they usually work in teams of 2-4, which means one of them will be the one actually at your birth (vs. an OB, which could be any OB at the hospital). They typically also support a more natural approach to pregnancy and birthing, which was important to me. Once we knew we were expecting, I downloaded some apps like Baby Center / What to Expect as they provided helpful tips especially in the beginning that I felt I could rely on. Especially in the first trimester, it's quite nerve-racking not knowing if the baby will "stick", so sometimes, having some educational to read can help distract those worries. As pregnancy manifests so differently with every woman, this area is really dependent on how you are feeling. I had been running half-marathons and consistently exercising before pregnancy, but running was one of those things I decided not to continue once I found out we were expecting (that, and because I felt like I needed to pee so frequently when I ran/jogged!). Instead, I switched to brisk walking and weight training. Running is generally okay throughout pregnancy but I wouldn't recommend it once you start feeling heavy, as all the bouncing and impact can really affect your pelvic floor, which is already compromised during pregnancy. In terms of food intake, depending on how you're feeling, eating nutritious and keeping hydrated throughout your pregnancy is always good. I know the cravings are there - but especially if the cravings are high in sugar, fat, or sodium, keep it to a minimum - say once a week, or once a month. It is possible to control yourself. Rest, rest, rest. Fatigue was something I dealt with throughout my pregnancy, so I added a nap to my daily routine to help me cope. It may seem unproductive for you as a type A person, but there's so much good stuff happening while you rest - to your brain, and also for your baby. Before we got pregnant, I had been hearing a lot of stories from expecting friends about their struggles and how much hormones have hit them hard, and how frequently the poor partner has to just take it all. So, I made it a point to research to see what sort of things to expect, and made sure I explained this to my husband, that this may/may not happen, but I will do my best to deal with them. I have been blessed that I've never had extremely terrible periods throughout my life, and neither have I felt a lot of hormonal changes whenever I was about to have my period, or during. But, I felt it was important to give him a heads-up of what to expect, so he's not blind-sided by it, and also so he knows how to deal with it when it does happen. Once we got pregnant, I definitely felt more sensitive towards certain things or people, there were cranky and emotional moments, but I learned to deal with them without having to pour it out on poor hubby. He really didn't deserve it, and especially with all his health issues, that's the last thing he needed. So whether it's meditating, going for a walk, writing in a journal, punching a pillow, talking to a friend - whatever it is, know that while you may be logically upset at something, hormones are heightening things, but there's no need to light a fire underneath it. The journey of creating a new human being is beautiful, and while it may be tough, it's better journeyed together than separate. While you're the one physically pregnant, you're still expecting this baby together. The first ultrasound is quite exciting and nerve-racking at the same time, as this is where you'll see your baby (or babies) for the first time, and you might get to see their heart beating, too. Typically, you'll need to drink a ton of water before the ultrasound. My tip here is to ensure you're hydrated in general, that way you wouldn't even need to drink a ton of water on the actual day and have so much trouble keeping it in during the ultrasound. Usually, you'll go in first and the technician will prod around your belly, and after making some measurements, your partner or whoever else can come in and see the baby, and hopefully see the heartbeat as well. While this is not for everyone, this is something you may want to consider as pregnancy - the whole act of growing another human being is truly a miracle, and you may regret not doing something that treasures this precious time. So whether it's journalling, taking photos every day, week, month, getting maternity photos, doing a vlog, whatever it is that you'd like to do, I would suggest to start early because time will fly by and you'll forget a lot of it if you don't note it down. This is one tip that was shared to me by one of my friends whom I told of my pregnancy quite early on, because she didn't know about it until it was too late. 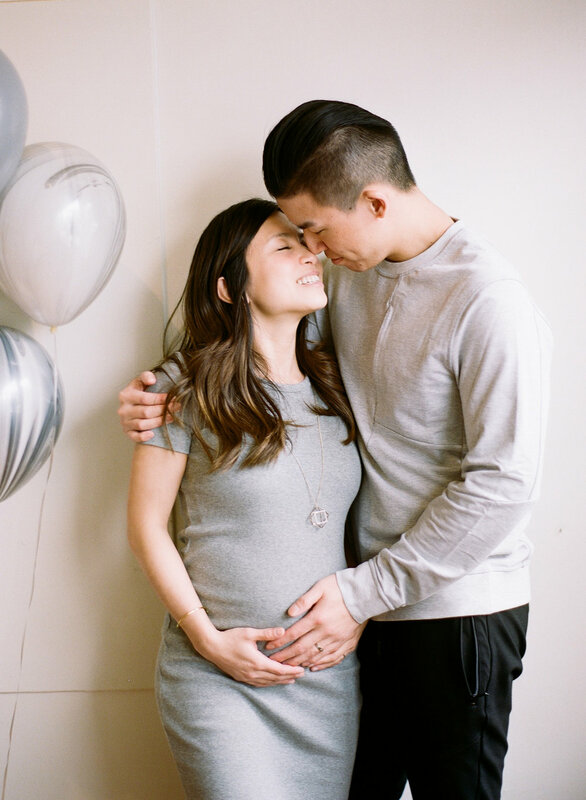 In Metro Vancouver, daycare spots are extremely difficult to get a hold of, and it's important to get your name in as early as possible - even in your first trimester. The registration fees can be free at times, so take that as an investment, if you will be requiring daycare. So visit ones that are close to your (or your partner's) workplace, or your home, as there will be times where you have to pick up your child early when they are sick. There are daycares that include meals, and don't include meals. Infant daycares can start as early as a couple of months old, but Montessori daycares don't start until they're roughly 2.5 years old. So, do your research and visit places to see which one you like best, and get your name on the list, and have a back-up plan, too. This is of course, if you plan to send your child to daycare. I found much solace and strength from constantly praying for this child from the very beginning, and so I felt it was important to start some good habits of praying with him from day 1, so that I can continue it once he is born. We would read the Bible to him, sing hymns and worship songs, pray over him and for him, speak to him and tell him about what's happening. A lot of couples choose not to share their exciting news to their friends and family until after the first trimester as it is still quite a fragile time. But I would suggest to choose a trustworthy friend or two whom you share similar baby values with (such as someone who has recently been pregnant) to talk to as they may have tips for dealing with symptoms that could really help you. True friends will be by your side especially when things go awry. I hope some of these tips will be helpful for you!